WASHINGTON (CNS) — When the Supreme Court weighs in on the constitutionality of the lethal- injection executions in Oklahoma this year, its ruling will not likely be a tipping point in eliminating capital punishment in the U.S., but some experts say it could be the beginning of the end of this practice. “It’s not this problem that will end it, but it’s another straw,” said Richard Dieter, executive director of the Death Penalty Information Center based in Washington. Dieter noted that a lot of public discussion about lethal injections took place last year after the botched execution of Clayton Lockett in Oklahoma, who writhed in pain for 40 minutes before dying of apparent heart failure. The execution was “quite a shock” and “got a lot of attention,” which he said explains why the drugs used to execute him deserve a review. In April, the court will hear oral arguments in Glossip v. Gross, a case brought by four death-row inmates in Oklahoma. One of the plaintiffs, Charles Warner, was executed Jan. 15 after the court rejected a stay in a 5-4 vote. The court announced Jan. 23 it would take the case and five days later it agreed to stay the upcoming executions of the other three inmates until it issues a decision. The case sounds somewhat familiar because in 2008, the court ruled in Baze v. Rees that a three-drug protocol used in Kentucky executions did not violate the Constitution’s ban on cruel and unusual punishment. In this drug combination, the first drug causes unconsciousness, the second brings about paralysis and the third stops the heart. But in recent years, a shortage of those drugs has caused states to try a variety of drug combinations in their lethal injections, not the drugs the court considered and upheld in 2008. Some combinations, as shown by Lockett’s botched execution, do not always work as intended. 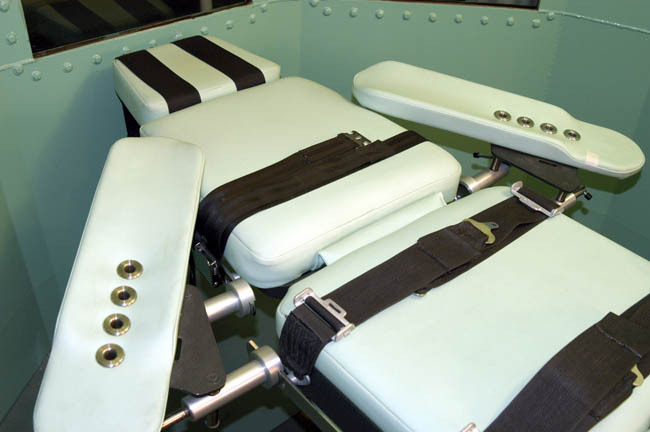 Currently, the 32 states that have the death penalty use lethal injections. If they are going to continue with that method, the deaths can’t take a significant period of time, said Meg Penrose, professor of constitutional law at Texas A&M’s University School of Law. According to the plaintiffs’ case, the drug midazolam, the first drug used in Oklahoma executions, does not sedate the prisoner sufficiently thus creating the risk of excessive pain, which violates the standards set in the Baze ruling and in the Constitution. One of the other plaintiffs, Richard Glossip, was scheduled to be executed Jan. 28 before the stay was announced. Sister Helen Prejean, a Sister of St. Joseph and a longtime anti-death penalty activist, has been a spiritual adviser to 51-year-old Glossip and has said she will accompany him to the execution chamber if he loses his appeals. According to the Gallup poll last fall, a majority of Americans still support capital punishment, but some feel the tides are slowly turning. He also said people say they support capital punishment yet they vote for legislators and governors who have said they will abolish it. Marc Hyden, advocacy coordinator for Conservatives Concerned About the Death Penalty, a group which formed in 2013, acknowledged that conservatives have not always been at the front of the anti-death penalty bandwagon but he said that they are starting to shift their opinion, recognizing that it is a pro-life issue and limited-government issue. Karen Clifton, executive director of the Catholic Mobilizing Network to End the Use of the Death Penalty, said Catholics also are becoming more galvanized in their views against capital punishment. She said the botched death by lethal injection is not only a “stark reminder” of the dignity of human life, but it also raises public awareness of the death penalty and gives groups such as hers more opportunities to educate Catholics about what church teaches. Last October, Pope Francis called on Christians and all people of good will “to fight … for the abolition of the death penalty … in all its forms” out of respect for human dignity. Clifton said in recent years more Catholics have been against the death penalty because they have recognized it as a pro-life issue. The old ways are the best. The best way to end the controversy over public execution methods is to go back to the old way, a firing squad. One bullet, one shot and its over. It would be much better if we focused on the misery of the victims than on the perpatrator. While awaiting execution can be a harrowing expereience let the criminal focus on the misery he inflicted on his victim(s) who will live in misery long after he has departed.